NYC, 04/15/2019, 7:00PM. 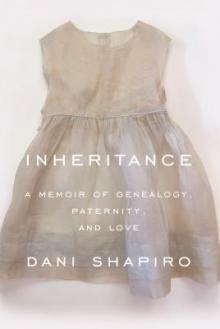 Inheritance: A Memoir of Genealogy, Paternity, and Love. A memoir about the staggering family secret uncovered by a genealogy test: an exploration of the urgent ethical questions surrounding fertility treatments and DNA testing, and a profound inquiry of paternity, identity, and love. What makes us who we are? What combination of memory, history, biology, experience, and that ineffable thing called the soul defines us?